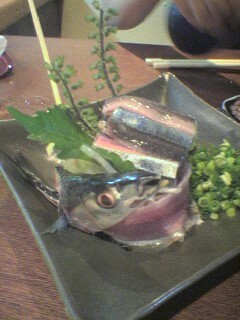 Mackerel or saba is fish eaten over the whole Northern Hemisphere and does come under many varieties and names. 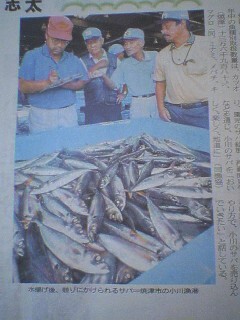 Herre it is mainly caught off Oita, Saga Prefecture, although quite a few are caught off our coasts. They feed on plankton mainly. They are prepared and cooked in many guises. In France, my birthplace they are steamed and then pickled in white wine and spices. In Northern Europe they also eaten half raw as smorgasbrod and pickled fish. 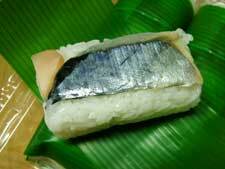 “Sanma” or Mackerel Pike has come on our plates with the advent of Autumn. 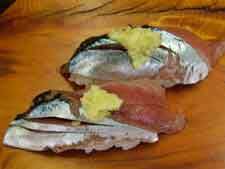 It is mainly caught off the north eastern shores of Japan as the fish swim down from Hokkaido. But the more it is caught, the less fat it will contain. 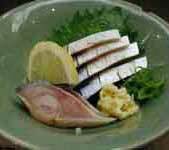 If you eat it at a good place such as Tonami in Shizuoka, you will be served its bones and head deep-fried. 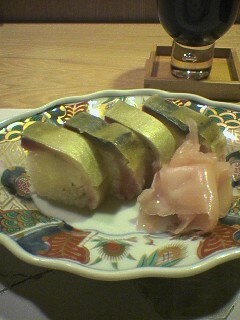 Of course, as a sushi it is a morsel to savour!